"Diametrically opposite mage duo uses their wits and skills in an emotional journey to gain power and uncover shocking secrets about their world & each other"
In a world where everyone can use magic, where treasure hunters, alchemists, and warlocks are common professions, and where mage duels are the most popular form of entertainment, Kiel is a "non-mage" - a person who doesn't have the aptitude to use magic on regular basis - until he meets Elaru - a spell breaker of mysterious origin, wielder of the fabled 'Aethernea of Sight' - eyes that can see magic, who claims she can give him the power to become the greatest mage world of Halnea has ever seen. Coerced into binding his soul to hers, Kiel finds himself pulled into a web of secrets, where one wrong step could end in his untimely demise. Who, or what is Elaru Wayvin really? What is her relation to the ruling 15 noble mage families? What is the source of The Ink - a mysterious plague spreading through the continent? What is the Aetherneal bond between them and what has it turned them into? What is the truth behind gods and divine magic? Why has the third race of Halnea - the Ascended, mysteriously disappeared, and what is the connection between the remaining two races? In the search for truth, Kiel and Elaru enroll at the most prestigious University of Magic. Yet, between awkward social events, falling in love, thrilling competitions, blood curling battles, irritating peers, and damnable love rivals, there is little time for studying. And as if avoiding sinister plots from all sides wasn't difficult enough, their new detestable mentor takes them on a voyage into the uncharted forbidden zone filled with unspeakable secrets, ancient riddles, man-eating monsters, and deadly traps. A quest that just might end up changing the fate of the entire world. 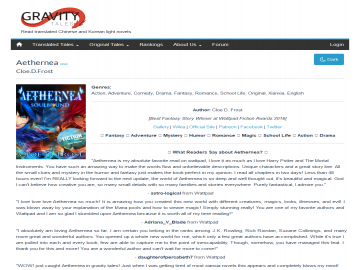 Aethernea has not been reviewed yet. Aethernea has not been recommended yet.